Winter makes getting around Halifax difficult even for the able-bodied. As a person living with cerebral palsy, the concern of accessibility is always on my mind. I take the time to map out my routes and watch the weather, hoping that I will be able to take a bus and make that commitment I planned weeks ago. When winter arrives, I brace myself. It still fills me with apprehension remembering the state of Halifax in the winter of 2014, when I could barely make it out of my front door. 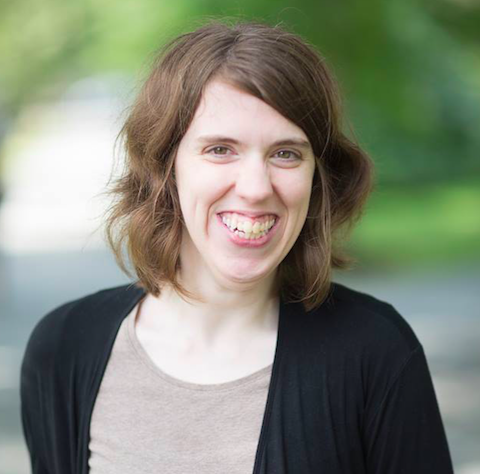 Carrie Gilbert is a freelance writer and social media assistant whose work focuses on disability and mental health issues. I had an easy start to January. Fortunately, I only had to walk short distances to attend meetings and catch my bus. Then came the first significant snowfall of 2018. It doesn’t take much for me to fall due to my compromised balance, and because Access-a-Bus has not been successful for me in the past, I had to arrange for cabs to take me only a couple of minutes down the street. At apartment buildings like mine, snow-clearing jobs are often left half done. Venturing out even in the late morning can prove to be tricky. 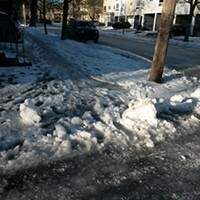 Some of us with disabilities struggle to navigate our way through snow banks on curb cuts, and random patches of ice and slush that remain scattered over paths leading out of our apartment buildings or homes. This is not a concern limited to persons with disabilities, however. In many ways, it affects all citizens within the HRM. 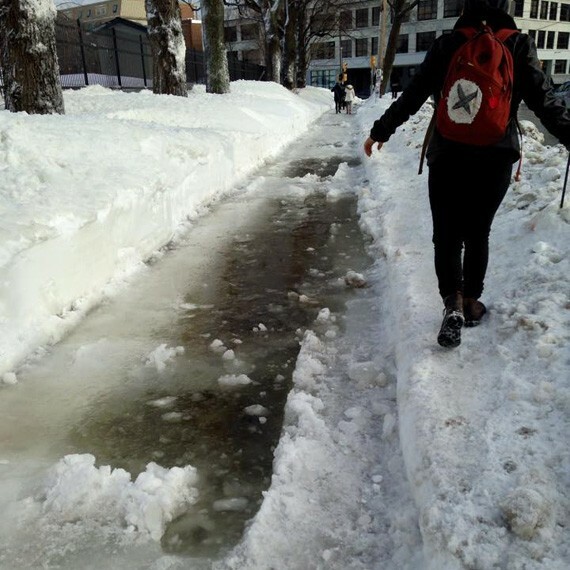 It may be easier for those without disabilities to get out and about, but I have had friends and colleagues explain to me how they must awkwardly climb over snow banks, or that they have come close to slipping and falling while out for a walk. If able-bodied individuals are experiencing difficulty going about their regular activities, imagine what that means when you are a wheelchair user, rely on mobility devices to get around or cope with chronic pain. The anxiety one experiences over the threat of serious injury becomes a constant, and resigning to isolation can be the only option. Can anyone blame us for feeling a certain level of frustration? According to HRM’s winter operations service, certain protocols must be adhered to following a snowfall. After 10 centimetres, pavement in residential areas should be cleared within a period of six hours after the snow has accumulated. I experience an irritation with these timelines, especially late afternoon the next day when sidewalk conditions are often relatively the same as when I left my place in the morning. In the meantime, I’m embracing the unexpected warm days this winter, when I can finally take that walk and clear my mind. I’m grateful for each bus route I make and the opportunity to see familiar faces and engage in the work and activities I enjoy. They are something I can look forward to while I wait, hoping to be able to go outside, paths clear for me to go about my day. 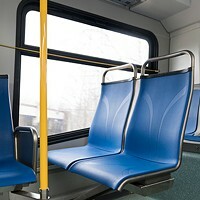 Municipality says it will only order fabric seats for new vehicles after rider complaints about slipping off.